Designated with the number "10", Deici entered in service roughly at the same time as Sein and thus treat the Numbers 1 to 6 as her seniors. A taciturn person who usually does not express her feelings openly and even though she holds deep love for all her sisters, she usually hides it behind a mask of coldness and professionalism, especially when in front of Nove and the other younger sisters. She seems to be somewhat more comfortable in Quattro's presence, going as far as opening herself a little to her, although she sees the senior Number's habits as trivial. Dieci always carries out her orders, even if she might personally disapprove them, although this does not prevent her from having doubts and feeling sympathy towards who she considers "unrelated victims". 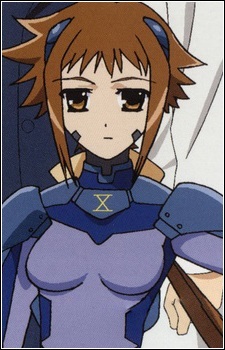 In episode 23, Nanoha captured her after being overpowered by Nanoha's Excelion Buster. She is later adopted into the Nakajima family alongside Cinque, Nove, and Wendi.